The above property in Swale had been empty for the previous 9 months. The owner had to move away from the area but had been unable to secure the sale of the property due to the level of outstanding debts against the property. The property had a number of mortgages and charges secured against it. The owner had considered renting the property to provide an income to help offset his liabilities. 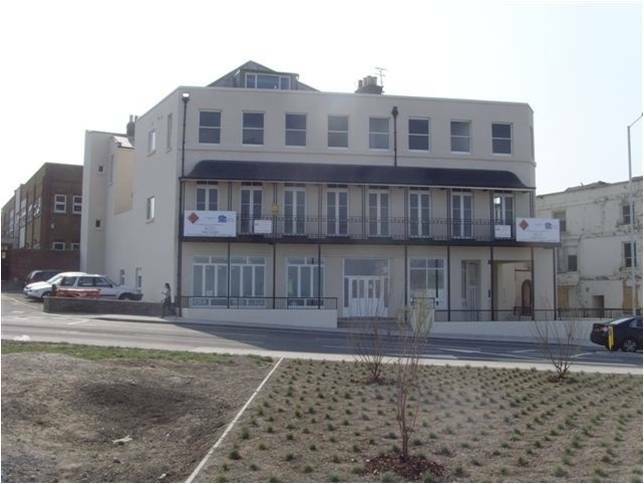 However, the property needed considerable work, approximately £12,000, to put it into a lettable condition, but the owner was not in a financial position to fund these works. Due to the financial position of the owner, he would not have been eligible for an interest free loan on the basis that there was insufficient equity in the property to secure the charge against. Consequently, the owner found himself unable to sell the property, but continuing to incur significant out goings, which was increasing the level of debt. 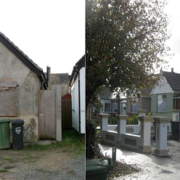 Swale Borough Council therefore considered the use of an Empty Dwelling Management Order, in partnership with the owner, to try and bring the property back into use. New powers, known as Empty Dwelling Management Orders, introduced by the Housing Act 2004, allow councils with housing responsibilities to take over the management of some residential properties that have been empty for more than six months. The property does not have to be run down or uninhabitable. The fact that it has not been lived in for more than 6 months may be enough to allow an Empty Dwelling Management Order to be made. • It is not a dwelling e.g. it is a building or part of a building used for non-residential purposes. • It is not wholly unoccupied e.g. only part of your house is unoccupied or there are spare rooms not in use. • It has been lived in at any time within the previous six months. • you are in the armed forces and are away from home on service. The property is occupied occasionally by you or your guests as a second home or a holiday home. The property is genuinely on the market for sale or to be let. You are expecting to inherit the property, but have not yet obtained grant of representation (probate) following the death of the previous owner. In this case, the property will continue to be excepted for six months after you obtain grant of representation. It is possible for one exception to apply after another one has ended. For example, if you decide to sell a property that was previously used as a second home or the owner died following a period living in a nursing home, it will continue to be exempted. WHAT IF MY PROPERTY IS NOT EXCEPTED? Even if none of the above statements applies, before taking the matter further the council must ask if you have any plans to bring your property back into use. 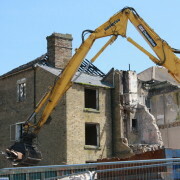 If you can demonstrate that you are actively pursuing plans to bring the property back into occupation in the near future the council will not be able to get the approval it needs to make an Empty Dwelling Management Order. If none of these statements applies, the council may consider making an Empty Dwelling Management Order, although it does not have to. 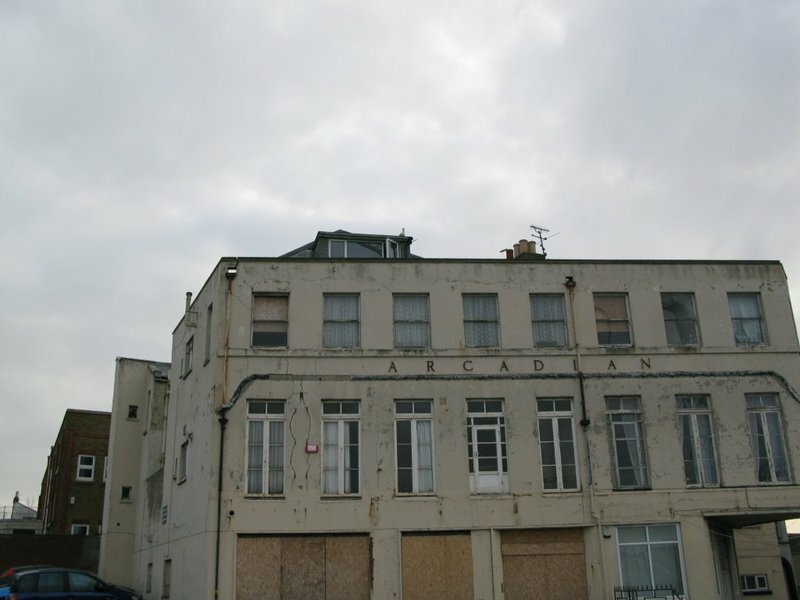 Whether it does will depend on a number of factors, including the priority the council gives to taking action to deal with empty properties / the empty property. Most council’s publish a strategy about this which should set out the general approach they will take, what enforcement powers they may use, and in what circumstances. WHAT IS AN EMPTY DWELLING MANAGEMENT ORDER? 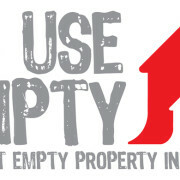 An Empty Dwelling Management Order (EDMO) gives the council the right to take possession of the property. Once an EDMO has been made, the council may do anything you would normally be entitled to do with the property, such as entering it to inspect its condition. The council does not take over ownership of the property, but is entitled to take possession of it and can prevent you from using it or letting someone else use it whilst the order is in force. There are two types of EDMO. An interim EDMO lasts for an initial period of 12 months, during which time the council must try to work with you to agree a way of getting your property back into use. It may ask you for permission to let the property to someone. If no agreement can be reached with you, the council may seek to make a final EDMO, which can last for up to seven years. You will have fewer rights to decide how the property is brought back into use under a final EDMO. If the council cannot reach an agreement with you and decides not to make a final EDMO, it must hand back possession of the property to you. WHO DECIDES IF AN EMPTY DWELLING MANAGEMENT ORDER SHOULD BE MADE? • the Tribunal must also consider the effect the order would have on your rights. Ultimately, it is up to the tribunal to decide if the order should be made. It is not under any obligation to do so and will have regard to all the relevant facts in making its decision. WHAT HAPPENS ONCE AN INTERIM EMPTY DWELLING MANAGEMENT ORDER HAS BEEN APPROVED? If the Tribunal is satisfied that an interim EDMO should be made, it will approve the order provided by the council. The council becomes responsible for the day to day management of the property and must consider the best way to get it occupied. It must obtain your consent in writing before the property can be occupied. If you are willing to allow the council place a tenant in the property, it may decide to end the order if you are also prepared to lease the property to them on a voluntary basis or agree some other way to get it brought back into use. This will give you an opportunity to agree the terms of the lease with the council. If you do not agree to allow the council to place a tenant in the property, it must either make a final EDMO to replace the interim order or end it without taking further action. WHO PAYS FOR ANY COSTS INCURRED UNDER AN EDMO? The council will incur costs in managing your property. For example, it may have to pay an agent, such as a housing association or a private management company, to look after the property on its behalf. It may also decide the property needs some work to get it into a fit state to be lived in. You will not normally have to pay any money towards these costs. The council will pay them and seek to recover its expenditure from any rental income it receives from tenants whilst the order is in force. The council must pay you any money that is left over after it has deducted its expenditure and may pay you interest on this money. What happens if the council does not cover its costs? During an interim EDMO, because the council cannot let the property without your permission, if you refused to allow the council to let the property and it considers that you did this unreasonably, any costs it incurs may be recovered from you. However, if the council makes a final EDMO to replace the interim order, it may decide to carry these costs forward and seek to recover them from any subsequent rental income it receives. In all other case, if the council cannot generate enough income from rental payments to cover its costs it generally cannot ask you to pay the shortfall unless you agree to do so, for example, as a condition to allow the order to be brought to an end before the council had recovered its costs from rental income. HOW WOULD THE COUNCIL RECOVER MONEY FROM ME? There are numerous methods a council can use to recover debts owed to it. An EDMO is a local land charge and will be registered in the local land charges register held by the council. The council may also apply for it to be entered in the register of title for the property held at the Land Registry. This means if you want to sell the property, your buyer will be aware of the charge and you will need to assist in its removal. The council will not normally remove the charge unless any money owned to it has been paid. During an interim EDMO, the council will only be able to recover money it has spent with your agreement, or any other expenditure it reasonably incurs to ensure that the property becomes occupied and properly managed, including insurance costs. Because the council cannot let the property without your consent, it may decide not to undertake any significant work without your agreement to allow tenants to move in. However, it is more likely to deal with any immediate problems such as clearing rubbish away from gardens or dealing with potential health hazards. 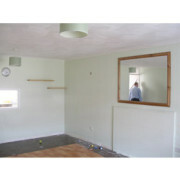 The schedule of works to bring this property up to a reasonable standard was agreed with the owner. This was put out to tender through the in-house Home Improvement Agency, and three quotes obtained. Swale Borough Council then made an application to the Residential Property Tribunal, for an interim EDMO. As part of the Application, all mortgagors, and those parties with charges against the property, were invited to be joined to the hearing. Initially, there was an objection from the main lender, however after further negotiations, the objections were withdrawn. On confirmation of the Interim EDMO being awarded, Swale Borough Council instructed contractors to start on site, secured appropriate insurance, and works should be completed with 4 weeks. The owner signed up with Avenue Lettings on a private sector leasing basis for a number of years. This will provide a guaranteed rental income, which will be paid directly to Swale Borough Council, to cover the cost of the works at the property. It is hoped that the debt will be paid back to Swale Borough Council within 20 months, enabling the owner to utilise future rental income towards other financial liabilities. 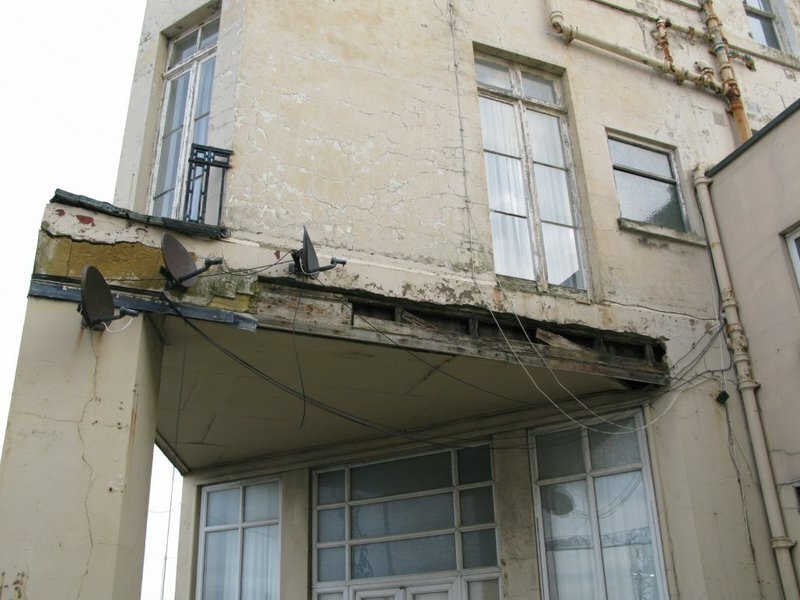 Thanet District Council originally became involved in this case as a result of a dangerous structure. 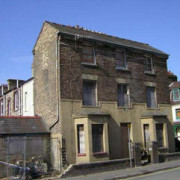 In 2004, the bay window to the first floor front elevation was becoming detached, representing a danger to local residents. Consequently, they served a notice under Section 78 Building Act 1984, requiring the owner to undertake remedial works to remove the danger. The owner failed to comply with the terms of the notice. Consequently, the Council completed the works in default. The cost of which can then be recovered from the owner. 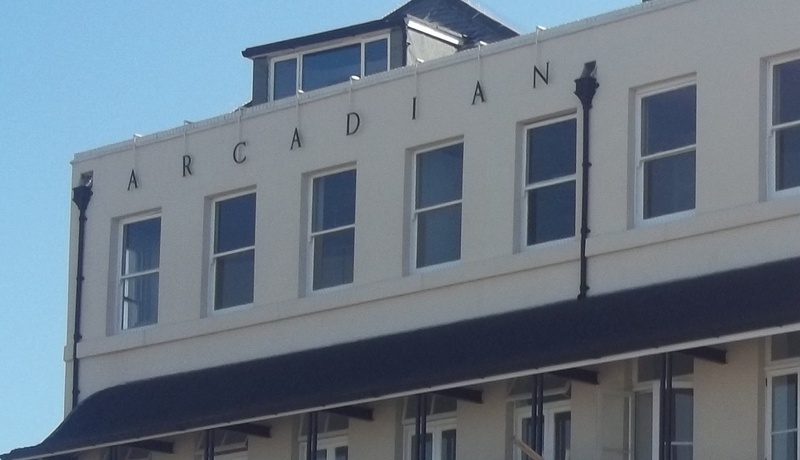 Further concern was raised over the very poor condition of the living accommodation above the commercial element of the property, including the structural integrity of the floors, which were suffering from significant dry and wet rot. Due to very serious health and safety concerns, a Closing Order was served under the previous Housing Act 1985 (as amended), requiring the owner to vacate the property. 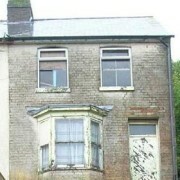 As a result of this, the owner was re-housed by the Council. Negotiations with the owner over an extended period of time were unfruitful. 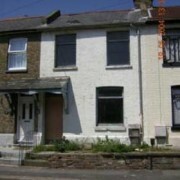 The owner refused to sell the property and had no funds to contribute to the renovation of the property. Then in 2008, the property suffered a major arson attack resulting in the property being substantially damaged. As a result the Council served a notice under Section 79 Building Act 1984, due to the ruinous and dilapidated condition of the building. The owner had no insurance on the property as is often the case where the property has been vacant for a number of years. Where there is a debt to the Council, created as a result of the Council undertaking works in default, as in this case, the Council can use the Law and Property Act 1925 (Power of Sale), to recover the debt. The Law of Property Act 1925 states that a Local Authority with a debt on a property can, under certain circumstances, registers the debt as a first charge with the District Land Registry. This would take precedence over a mortgage, if there were any. The new owner, a local developer then had the responsibility to comply with the terms of the notice served under Section 79 Building Act 1984. After some negotiation the developer was granted planning permission for conversion of the property into three good quality apartments.